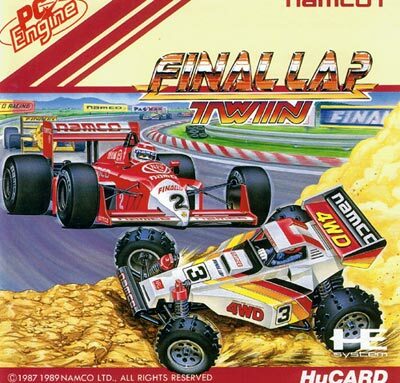 Final Lap was a Namco arcade game from 1987 and was a direct successor to their Pole Position franchise. The game was based on “scaler” design popularized by Sega’s Out Run. The vehicle had multiple frames of animation as it turned on the track, but the car seemed a bit floaty and the scenery lacked much of the interesting things flying by at the side of the road. The home version strips down the 8 networked arcade machines to a simple split screen couch co-op. 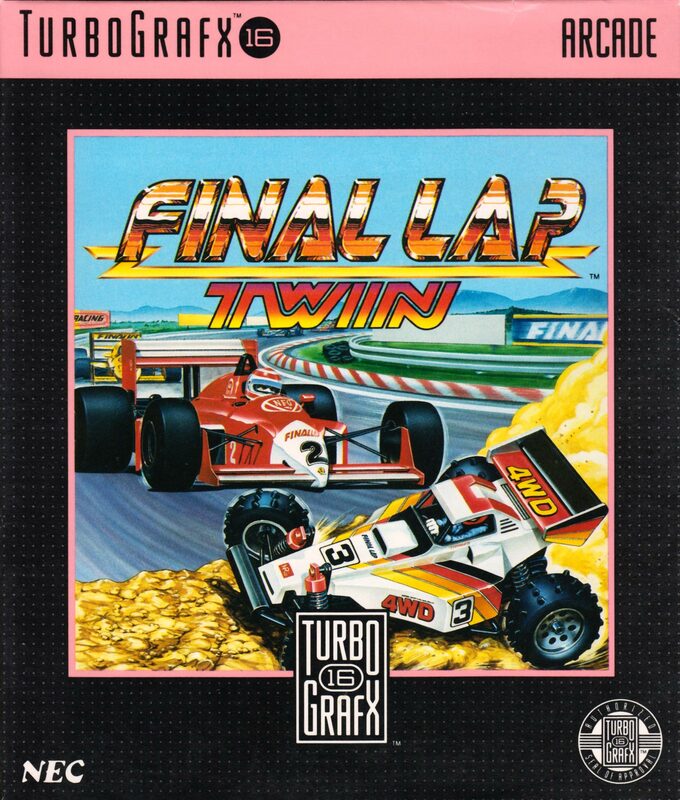 Adding longevity to the mix is an additional quest mode which may look and seem like an afterthought, but is actually a reason to choose this title over other racers on the PC Engine. A key component to enjoying these sort of games is for the track to animate smoothly and the car should handle exceptionally well. 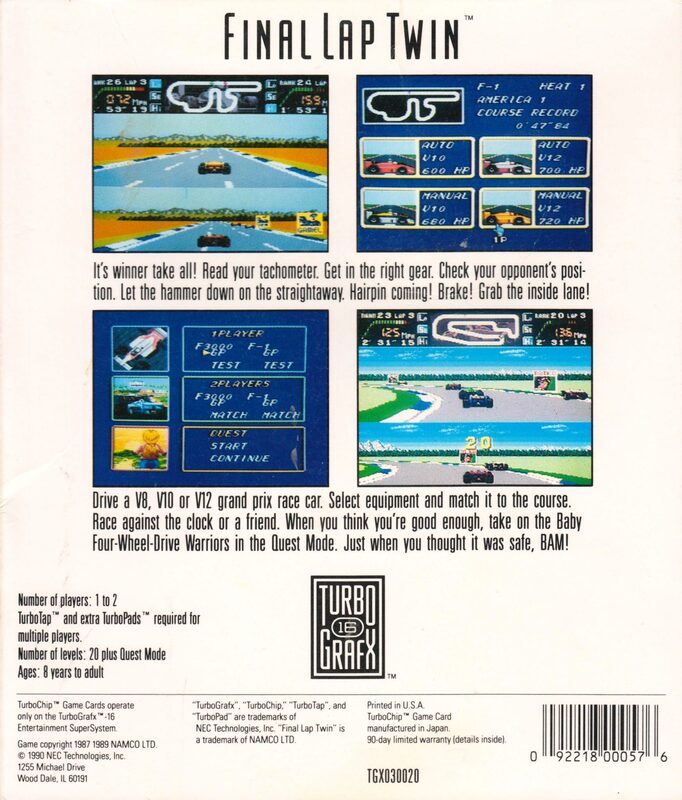 The PCE/Turbo version does these better than any other racer I’ve played on the system. However, like the arcade version, the sparse offering of billboards and road signs aren’t going to win any pixel art awards. They whiz by very nicely for non-scaling graphics, there just isn’t much to see. The stereo music and sound effects were adequate and quite good when compared to the mono output of the 8-bit systems popular at the time, but there was nothing ground breaking. What made this game so endearing is the silly quest mode. It is a JRPG where a squat character walks across a simple grid map and fights random battles (Dragon Quest). However, the battles are R.C. car races for money and prestige. While the overhead quest looks like the most basic of early 8-bit games, the race graphics are quite good and spark the feeling of a Go-Pro camera following your vehicle. You use your prize money to upgrade the tires, fuel and ramp capabilities (wing) ensuring continued wins. This upgrade feature is well balanced and succeeds where Victory Run did not. As an added nod to this title’s playability, my sister was not a game player. 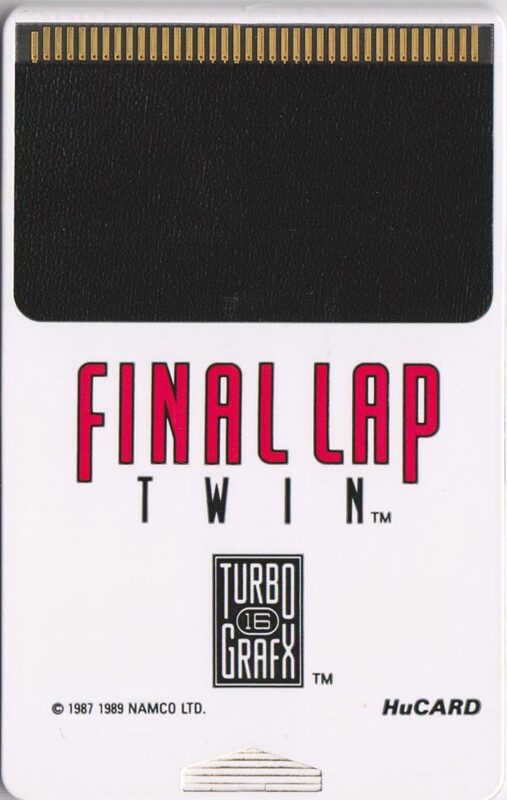 But, I handed her the controls to Final Lap Twin’s RPG game and she got so addicted, she played it until she beat it! 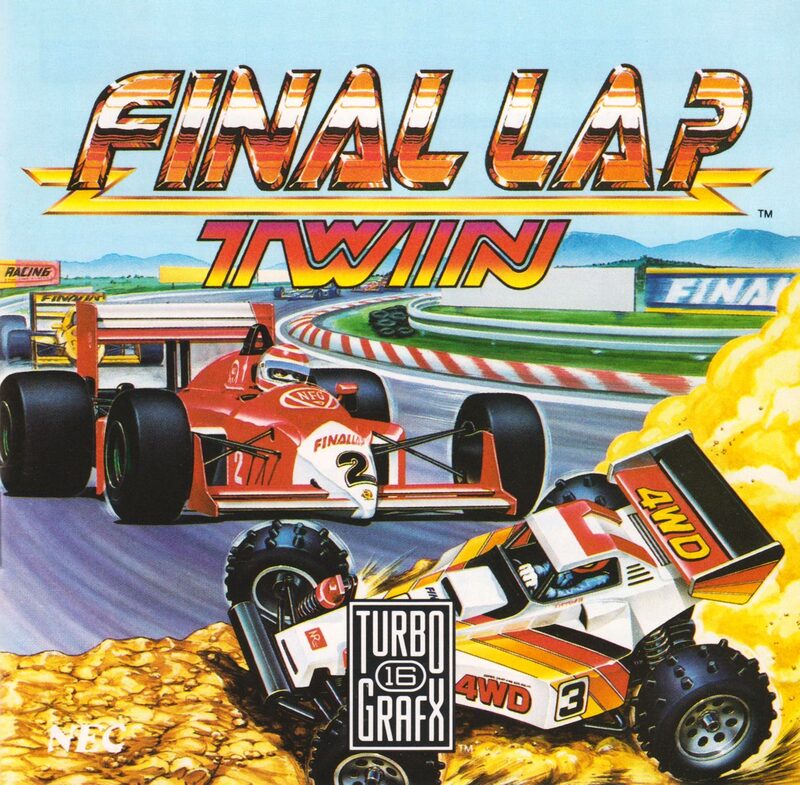 Final Lap Twin is pretty unique as far as these things go, in that it's a Rad Racer style racer blended with a top down RPG. The plot(!) is that your father is a famous race driver and you're following in his footsteps. I think it's interesting that this ostensibly paved the way for things like Mario Power Tennis on the GBA, where the menu is effectively replaced with a lite RPG. There's a very nice sense of speed here, and everything is quite smooth, especially compared to something like Chase HQ, where cars noticeably jump in size. You'll also note that races are always in split screen, which I think was an odd choice. Obviously I would expect them to rescale everything, but I'm impressed they can keep everything so smooth. And obviously it's simultaneous 2 player which is good. In summary, a nice, if average 2 player racer with an RPG on top that makes it that little bit different and raises it up.